I love watching swallowtail butterflies crowding around the ample flower spikes of this vivid long-blooming variety. 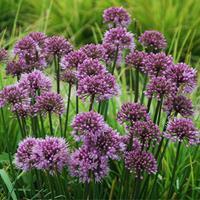 Grow in meadow gardens or mixed with perennials in borders—it also is a premier container plant. If you mulch, use gravel, for excellent drainage is paramount for winter survival. Wait until spring to cut back. 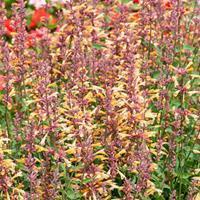 Willowy see-through Agastache has their own considerable charms, but sometimes you just want more, more, more! Peachie Keen is crowded with tiny flowers all along the wands of bloom, all the more to keep hummingbirds, and you, happy. Patented. 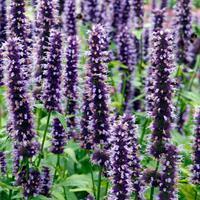 Large fuzzy flower heads of a beautiful lavender blue cover the healthy dark green foliage all summer. 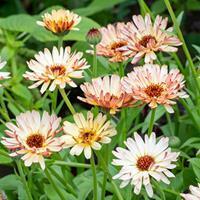 Pairing beautifully with pale yellow and cream flowers, it only needs deadheading for picture perfect borders and pots. A pure white, goes-with-everything summer bloomer that also has long stems for cutting! Long-blooming, it keeps on producing appealing fuzzy flowers in summer. Deadhead for neatness and continued bloom. 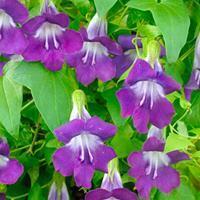 A vibrant violet selection of "Chickabiddy" vine, that climbs with tiny tendrils up pot trellises and soon display the flaring trumpets of bloom. Hummingbirds love them too, so be sure to place on the patio in a warm sheltered location, with some afternoon shade. This delicate looking but strong growing vine has graced trellis work and scrambled among summer flowers since Victorian times. Still one of the best long-blooming vines, it thrives and blooms summer to fall, and should be given a trellis to climb early in its growth. 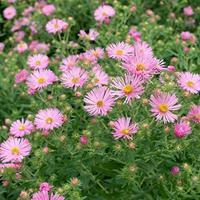 Top-rated by the Chicago Botanic Garden for its floriferous nature, superior rust resistant foliage and large fringed 1” blooms. Some cut it back in June to keep it shorter, but we love its billowing nature, an extravagance that garden designers of the past employed to cover much earlier blooming perennials. 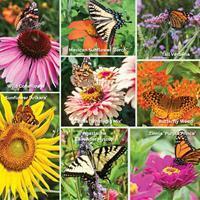 This selection flowers in early fall and captures the attention of all, including bees and rambling butterflies. Incorporating native plants into our gardens is so important for the bees and birds in our locale, for they depend on native food sources. 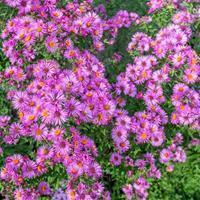 Gardeners can do good while showing off with this brilliant pink variety. Awesome with a backdrop of orange and yellow fall foliage, achieved by cutting back in June for a shorter, later blooming display. Provide good air circulation to inhibit powdery mildew, or use organic fungicide sprays. The best bee balm you can grow, making it so valuable for our native pollinators. Covered in deep lavender flowers for weeks in summer and drawing butterflies like few others, it is strong growing and disease resistant. Billowing masses of lavender blue starry flowers are a sublime expression of early summer’s lush beauty. This classic bellflower is a strong and enduring perennial, at home in cottage gardens and in front of shrubs and old roses. Deer avoid it! A rare and unique perennial native to South Africa that has slumbered in relative obscurity since it was grown at Kew Gardens in 1917. With renewed interest in drought tolerant plants, however, it is now sought out for its architectural form of prickly winged stems and pointed dark green leaves. Large clusters of stunning daisy shaped lavender blooms with dark purple centers open all summer long. Beautiful with low grasses in well-drained locations. Mounds of intense yellow and orange bicolored blooms take all that summer can dish out with ease, blooming all season without ceasing, and adding brilliant color to garden edges and pots. No deadheading needed, they tidily drop spent flowers and keep popping out new ones on top of super healthy foliage. Black-eyed Susan vine is one of our "go to" vines for color all summer long. 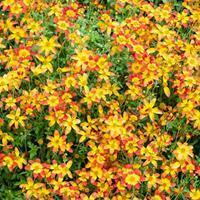 This brand new variety is exceptional for its brilliant pinwheel blooms of dark red edged in yellow. 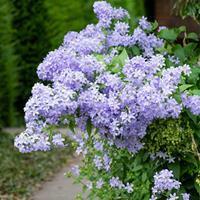 Great spilling from containers or twining effortlessly up a smaller trellis.